Meet The Doctor | San Jose, California | Gauri A. Bhagwat, DDS, Inc.
Dr. Gauri Bhagwat has been a resident of Sunnyvale, CA for over 10 years. She received her DDS degree from the UC San Francisco School of Dentistry in 2009. She has been in private practice in the San Francisco Bay Area since 2009. In 2016 she started her own dental practice in West San Jose, conveniently situated at the corner of San Jose, Cupertino, Saratoga and Los Gatos. Dr. Bhagwat practices all phases of dentistry and treats patients of all ages. She focuses on modern, compassionate, friendly and ethical dental care. 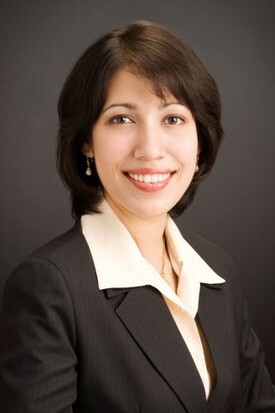 Dr. Bhagwat was the recipient of several prestigious awards during her dental education including the Craig Memorial Scholarship, the American Association of Periodontology Award for Outstanding Performance and the UCSF School of Dentistry Alumni Association Award for Professional Development. In addition she was also elected to the Omicron Kappa Upsilon (OKU) National Dental Honor Society. In recognition of her outstanding achievements Dr. Bhagwat was invited to serve on the faculty of the School of Dentistry at UC San Francisco, where she currently serves as Clinical Associate Professor, actively mentoring and teaching dental students. She is abreast with the latest in the dental field, constantly updates her knowledge and strives for the best outcomes for her patients. She is a member of the American Dental Association, the California Dental Association and the Santa Clara Dental Society. Dr. Bhagwat is committed to the Bay Area community and actively participates in dental education and awareness camps. On the personal front, Dr. Bhagwat is an avid reader, enjoys hiking and traveling and spending time with her husband and two children.